Microchip Technology has announced an addition to its mTouch capacitive touch offerings, the PICDEM Touch Sense 2 Demo Board (DM164128). 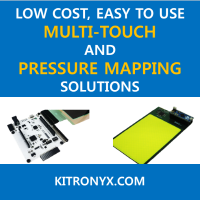 The easy-to-use board comes with the updated, royalty-free mTouch Sensing Solution Software Development Kit (SDK) and is populated with a 16-bit PIC24FJ256GB110 microcontroller (MCU), which features an integrated Charge Time Measurement Unit (CTMU) peripheral for fast capacitive touch sensing. This is claimed to be the world's first 16-bit MCU family with USB On-The-Go (OTG). The board and supporting materials provide a complete platform for implementing capacitive touch-sensing interfaces, without the need for external components. Additionally, with the PIC24FJ256GB110 family's peripheral integration and 256 Kbytes of Flash memory, and Microchip's free and low-cost software libraries, embedded designers can use a single MCU to cost-effectively implement a wide variety of additional user-interface functions, including QVGA touch-screen displays, speech-based audio prompts and USB connectivity. Equipped with capacitive touch-sensing keys and sliders, the board allows designers to evaluate this interface in their applications using the Windows-based mTouch Diagnostic Tool, an easy-to-use Graphical User Interface (GUI) that is included in the mTouch Sensing Solution SDK. The software libraries, source code and other support materials that come with the board further shorten development time and reduce design costs. "Microchip continues to be committed to making it easy and inexpensive for engineers to implement capacitive touch-sensing interfaces into their designs," said Mitch Obolsky, vice president, advanced microcontroller architecture division, Microchip. "With this new demonstration board, we are enabling designers to take advantage of the cost-effective, feature-rich and low-power PIC24F 16-bit microcontroller family in their capacitive-touch applications." The PICDEM Touch Sense 2 demo board (DM164128) is now available at http://www.microchipdirect.com.